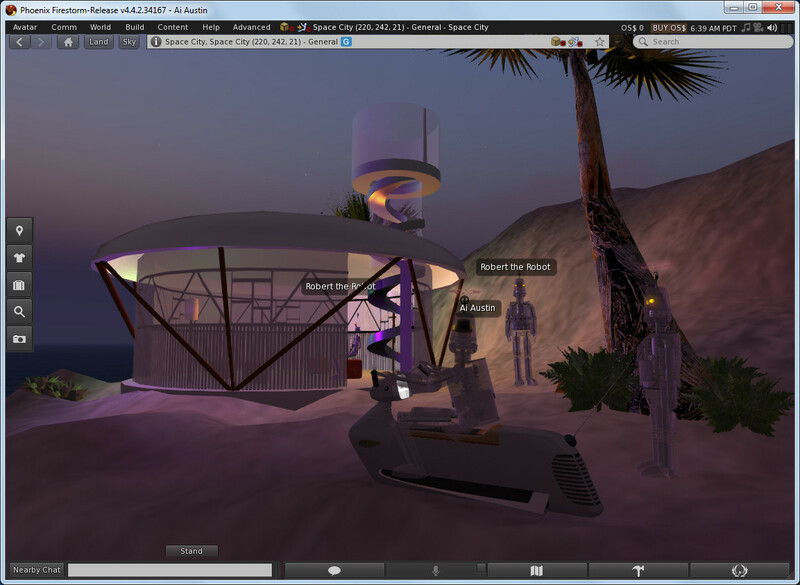 On the Space City region in the OpenSim-based OSGrid near to Venus’s Beach House are some experiments with “Robert the Robot” NPCs, both persistent across server restarts and temporary variants. In addition, a custom pose for the jetmobile rider has been added. The pose was created in QVAnimator producing the Poser-style .bvh animation files used in Second Life and OpenSim. The Robert the Robot avatar was created from Mateen Greenway’s Studio 3D Max mesh converted to Collada for upload to OpenSim, and then mounted as avatar attachments on a rigged mesh avatar skeleton. 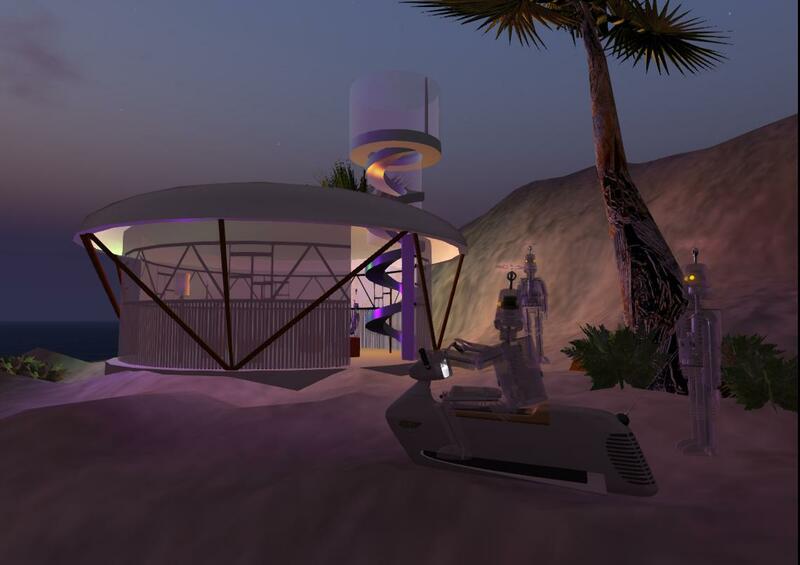 This entry was posted in Gerry Anderson, OpenSim, Robots and tagged Fireball XL5, Gerry Anderson, Jetmobile, NPC, Robert, Robot, Space City, Venus. Bookmark the permalink.